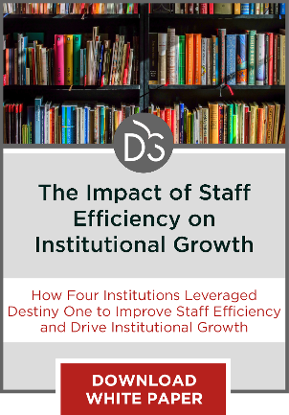 Evolving a postsecondary organization into one that places data at the center of its culture is a challenge, but the impact this approach to management can have on both students and staff makes the effort worthwhile. The effective collection, storage and analysis of data is critical to the success not only of our continuing education department here at Virginia Tech, but to any modern organization or company. As operating budgets continue to shrink, it is vital for leaders to consider all options when determining how to maximize their organizational efficiency and success. This includes cost-savings approaches and exploring additional ways to generate revenue. Data allows leaders to bridge the gap between where they currently find themselves and where they eventually hope to be. Simply put, that is why data has become so important to organizations such as our own. 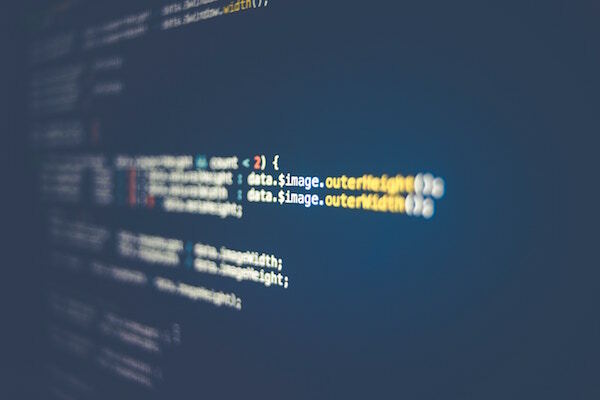 Harnessing the power of data allows for continuous improvement by not only learning from the past, but also by staying up-to-date with current trends. For example, in the past, our team would respond to and correct errors as our staff and/or students identified them in Destiny. After utilizing the archived database, automated “checks” have been set up to constantly monitor for errors so that they can be corrected in near-to-real time. We have also looked to free up our registration staff by setting up automated emails that send class lists to clients on a daily/weekly basis. Previously, these emails were sent manually in response to a client request. As you can see, our hope as an organization is to be proactive rather than reactive by leveraging the hidden power of data. Data also allows organizational leaders to make the most informed decisions possible. The beauty of using data as a decision-making tool is that it cannot be discredited as simply someone’s opinion. Data truly is black and white with no bias. This allows members of the organization to better understand the rationale behind business decisions in hopes of achieving the full support of the team. It also aligns perfectly with what we hope is the goal of every person within an organization: to improve, every day. Leaders understanding the value of data is one thing, but there needs to be buy-in from everyone in order for data to be truly impactful to an organization. Throughout this piece, I’ll identify some common roadblocks, share advice on how to gain buy-in, and reflect on how students benefit when their institution makes data central to its culture. The adoption and use of data disrupts the status quo of an organization, where pride and fear can be roadblocks to gaining full staff buy-in for new data-driven initiatives. 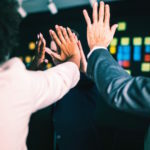 Members of the team can either be too prideful to acknowledge things need to change, or can become frightened that changes could result in job loss. The way we have always approached this misconception is by reassuring teams that what we hope to learn and change from the data is not intended to replace the worker, but rather to make the worker more efficient and allow them to focus on higher-priority items. Once you get past the first hurdle of having your team acknowledge that change is necessary and good, the real progress can begin. Shifting an organization from a non-data-centered culture to one where data is highly regarded can be quite challenging. It is very easy for members of an organization to become accustomed to certain processes and decision-making procedures as the way things have always operated. It can be extremely difficult to change this collective mindset and have members of your team begin to question processes and actively look for areas of improvement. Since each person has a unique role within the organization, it is critical that everyone understands the importance of data, and their role in properly collecting, storing and analyzing it. Without everyone doing their part, data could potentially lose its value. It is important for any data-minded leader to understand their team, as well as what they hope the data will accomplish. Without a clear vision, data can lose its relevance, and become nothing more than a bunch of numbers. Therefore, it is crucial that a system be in place that promotes its proper collection and use. The more work that goes into the planning of such a system, the easier the entire process will be for everyone involved. The aim should be to put a system in place that makes data collection and review as simple as possible. 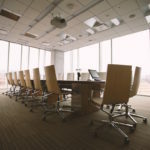 Since each person within the organization has a specific responsibility, it is imperative that the appropriate information be available on a departmental or individual basis. For example, the data needs of someone within the finance department will be completely different from what is required for a member of the registration team. Therefore, it is important to have strong communication between data-minded leaders and the heads of each department. 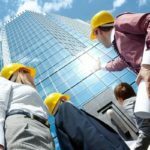 This allows them to fully understand current processes and ensure that the vision of each department aligns with the overall goal of the organization. There is definitely not a one-size-fits-all approach concerning the use of data within an organization, and it is vital for leaders to understand that from the very beginning. Once you tailor the data content to each audience, the next step should be to determine the best way to present that data. Simply put, the right data should be presented to the right people in the right way. Organizational data should only be available to those individuals who truly require access as part of their job. That is why specific permissions should be in place. Additionally, data should be formatted differently depending upon a person or team’s comfort level with analyzing data. Most people are visual learners and respond well to graphs and other visuals. If your audience is unable to understand the data you are presenting, you may actually be doing more harm than good. When data becomes part of an organization’s culture, it creates a collective mindset focused on continuous improvement that benefits everyone involved. This is the case regardless of whether you are referring to a postsecondary institution such as Virginia Tech, or an industry-leading company. Students and consumers often judge their experience with an organization based solely on their most recent interaction with a staff member. With this being the case, it is important that leaders work to create a strong team from top to bottom. 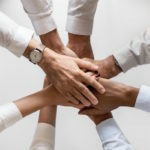 Since nearly every person’s job within an organization relies upon someone else (either before or after them in the workflow), it is crucial that a data-minded culture is adopted by the entire team–not just by one department. Data analysis empowers departments to improve processes, which means staff members can work more efficiently and focus on higher-priority tasks that benefit students. Data also allows errors to be discovered and corrected in near-to-real time. This is extremely important because we can identify potential issues before the student encounters them, allowing us to provide a superior student experience. For example, we have several monitoring reports in place that analyze data within our archived database to look for program set-up errors and system processing errors. These reports have already been extremely useful for catching errors early, allowing us to not only correct, but also learn moving forward. Lastly, it is vital to look for trends within the data to continue to serve the evolving student. We must be proactive rather than reactive and stay ahead of the competition. As technology continues to improve and online learning continues to grow, it is crucial to consider these shifts. One example of this occurred when we were reviewing Google Analytics for our Destiny registration site: We witnessed an influx of tablet and Chrome OS users over the past several months, and we expect that trend to continue. Knowing this, we have placed a greater priority on testing all aspects of our student experience with those devices. The key is to remain vigilant and look for trends and emerging markets that will allow us to pursue organizational growth, while also providing our students with the best learning experience possible.